GETCO8 is a new-concept block-chain game in which the person who buys the key at the end of the game rounds out and takes the winner's prize money. During the round, you can purchase one or more keys to reset the timer to show as the current winner. Key prices increase slightly during the round. Players earn some income when buying a key during the round. 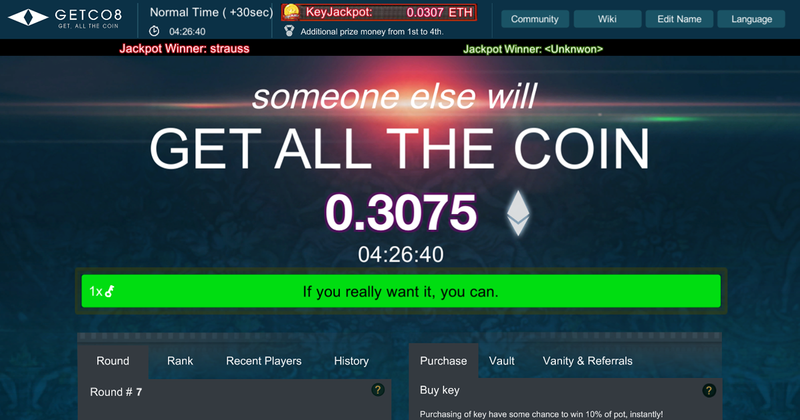 When the timer reaches 0, the last person to buy the key wins.